Which human rights issues will be the most pressing ones in the near future? How should Finland promote human rights and civic space? These questions were discussed at the panel discussion celebrating the 20th anniversary of the KIOS Foundation. 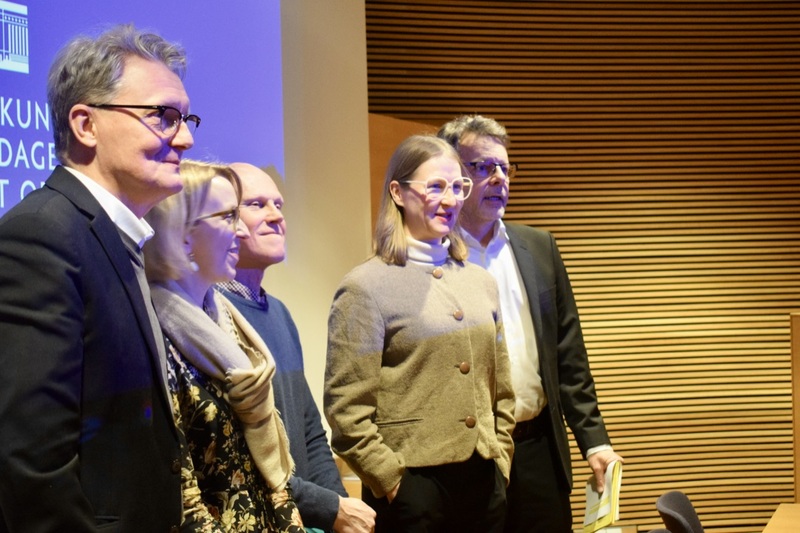 Around fifty participants gathered to discuss the future of human rights on the 28th January at the Finnish Parliament Annex in Helsinki. Climate change and growing inequality were raised as the major threats to the realization of human rights in the future. However, there are some positive trends as well, such as the rapid advances made in the field of LGBTIQ rights. The Member of Parliament Eva Biudet opened the KIOS celebration. Next on the stage were the panelists, who included Mr. Frank Johansson, Executive Director of Amnesty International Finnish Section, Ms. Miia Halme-Tuomisaari, researcher at Helsinki University, Mr. Thomas Wallgren, professor, politician and activist, and Ms. Riina-Riikka Heikka, Director of the Unit for Civil Society at the Ministry for Foreign Affairs of Finland. In addition to the interesting panel discussion, a video presenting KIOS-supported human rights defenders was screened at the event. KIOS’ anniversary publication From little things big things grow was also released, which includes stories written by KIOS partners and stakeholders. The publication gives a glimpse of the work that KIOS partners have achieved to defend dignity, justice and equality.